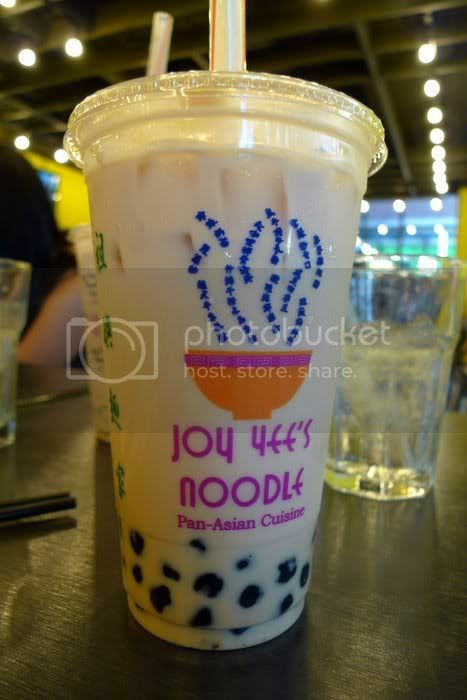 Let me kick off this new blog of mine featuring Joy Yee's Milk Bubble Tea. Joy Yee Noodle is an extremely popular Chinese restaurant chain in Illinois. My cousin who lives in Skokie made it a point to take me to Joy Yee in Evanston straight from the airport. Our lunch was composed of Shrimp with Brocolli, Korean BBQ Ribs (the best I've ever had) and what do you know, they had my favorite drink -- Milk Bubble Tea! The bubble teas were humongous! More importantly, my tea had the right bite and flavor that I crave from milk teas. It is quite comparable to Kopi Roti's Iced Milk Tea minus the chewy tapioca balls underneath, though the taste is somewhat milder. 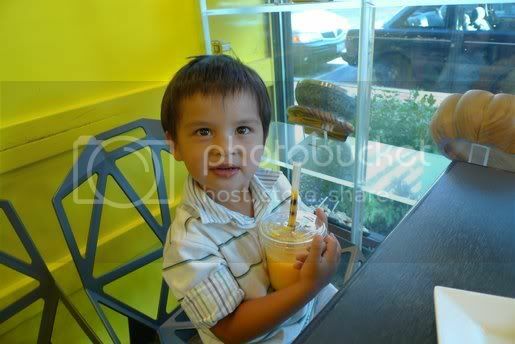 Joy Yee has around 50+ varieties of bubble teas and shakes. If I had the time, I would have tried them all! Please subscribe to our feed. There's more to come! Now where's my free Iced tea? This is a very nice blog!